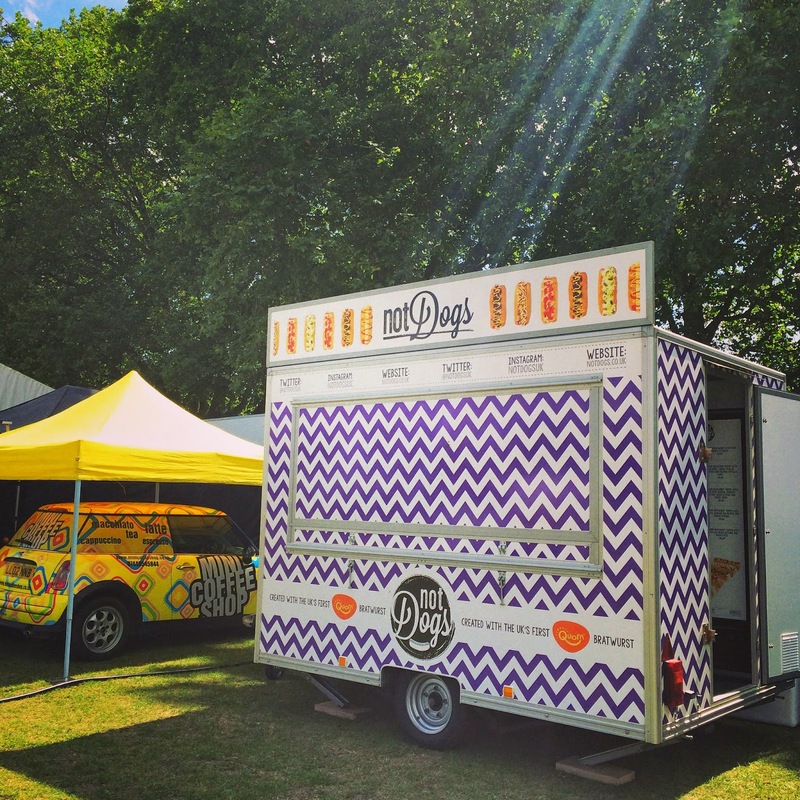 At one of the festival during our first summer tour last year we were located within the campsite so wanted to be able to offer festival-goers a tasty veggie breakfast option. 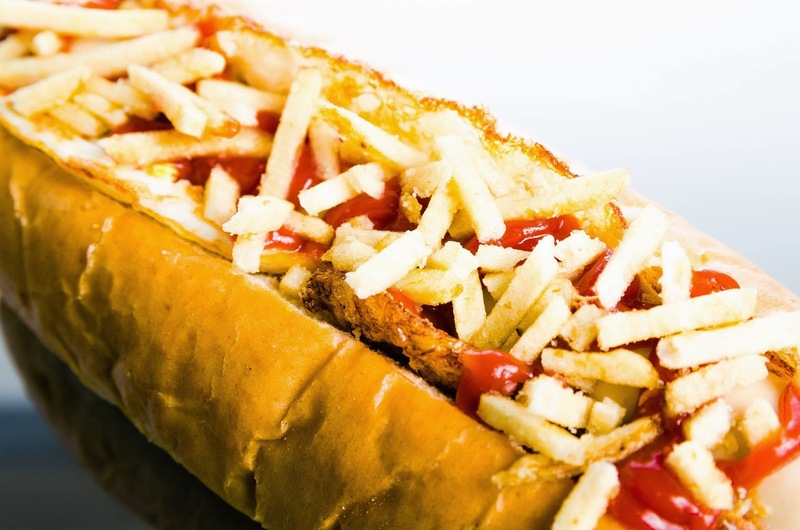 We experimented with lots of different recipes finally choosing a delicious, freshly-fried egg, Heinz Ketchup topped with crispy, salted potato stix... we think it's pretty much everything you could wish for in a breakfast dog - especially after a hard night partying! 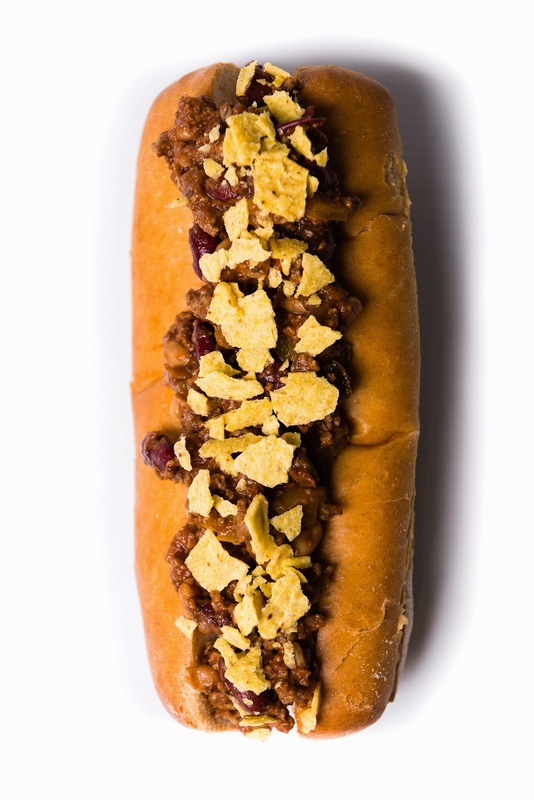 Our Not Dog eating champion's favourite Not Dog is the Top o' the Mornin' Dog and legend has it he's eaten seven (yes seven!) 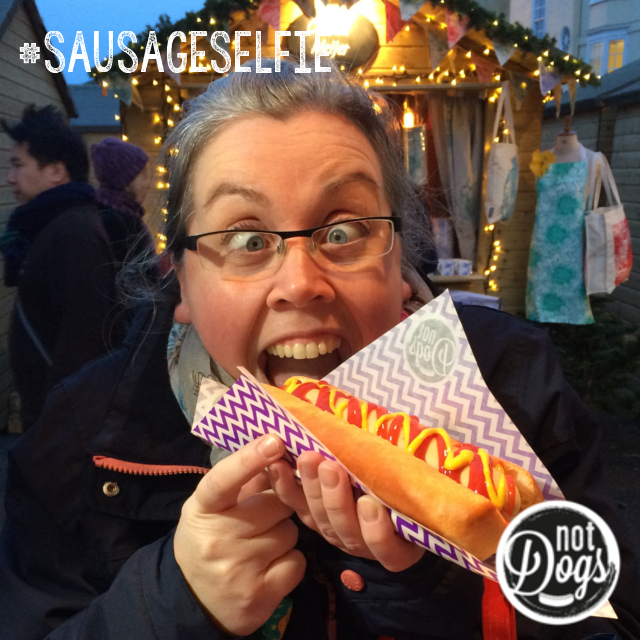 in just two hours!! 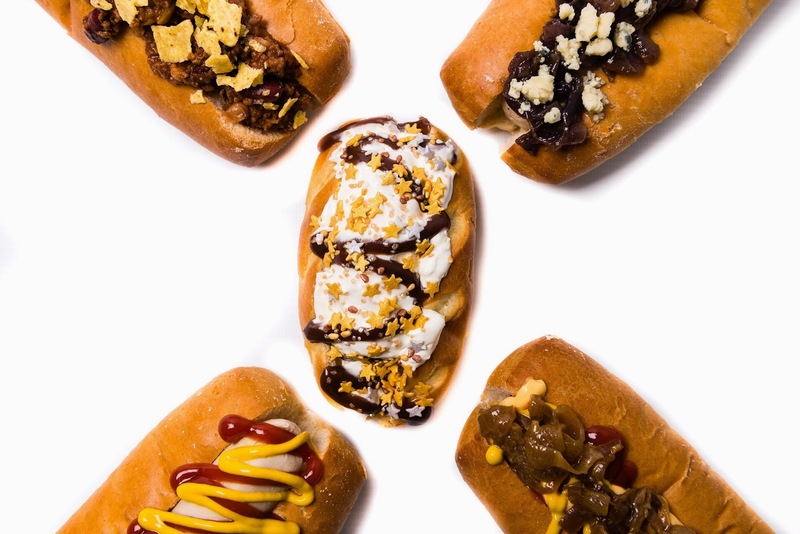 Now that's a champion right there! 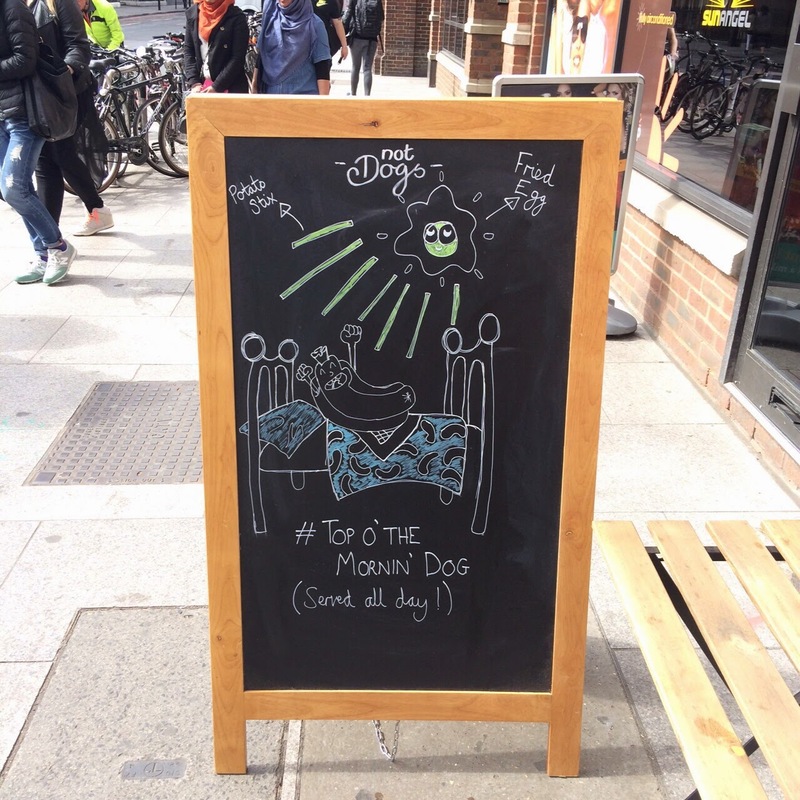 Top o' the Mornin' Dog is available on the food truck - we're heading to these festivals on the Summer tour and also at TheMoveable Feast, London Bridge... our resident street artist and Not Dog Crew Member Will has created our favourite Not Dogs artwork so far to display outside the pop-up shop! 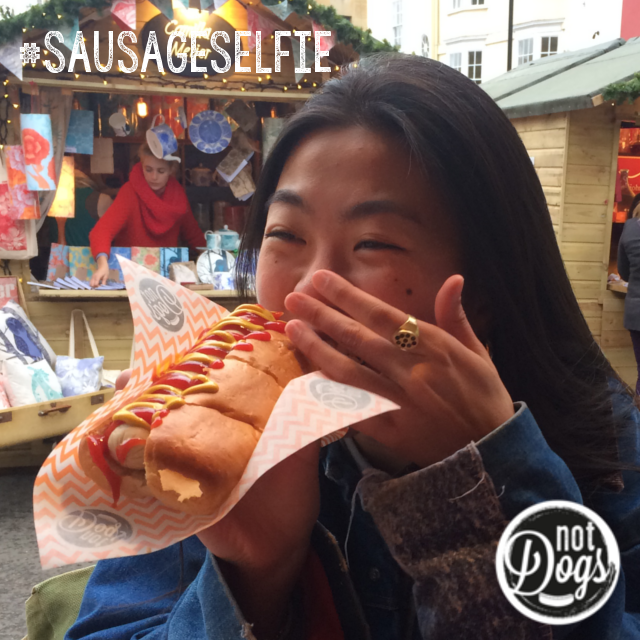 We love to collect #SausageSelfies on our travels around the UK and of course, at our London Bridge pop-up shop! 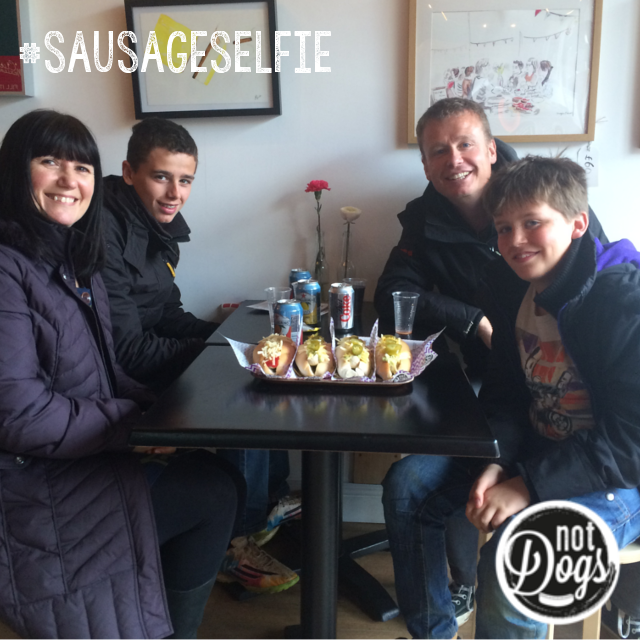 Although they're not quite 'selfies', our lovely customers enjoy having one with their Not Dog and we love to share them across Facebook, Twitter and Instagram. 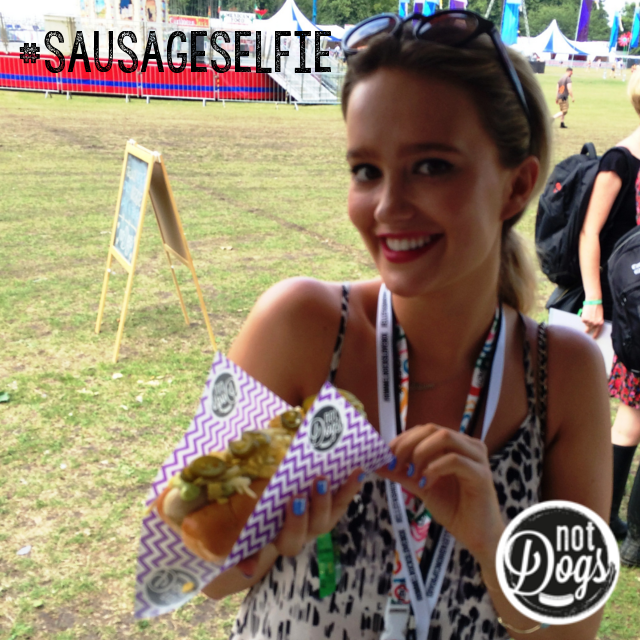 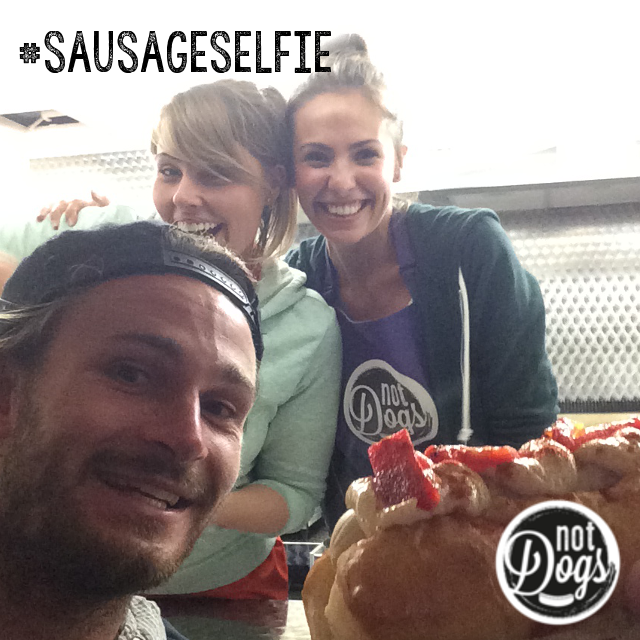 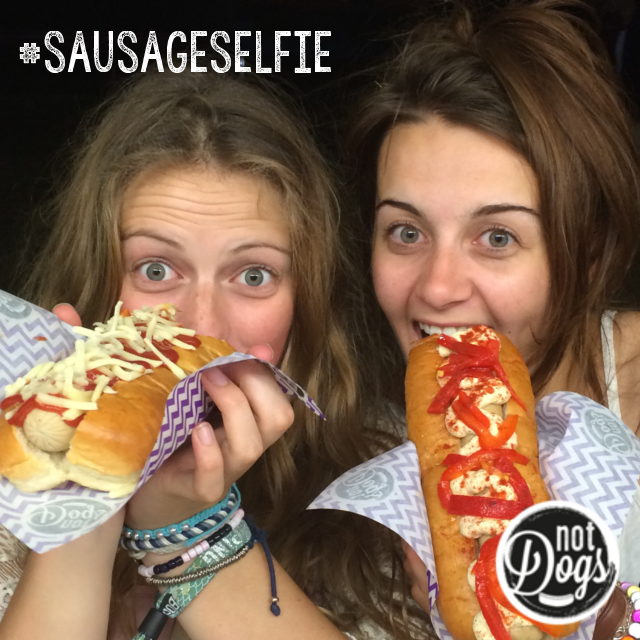 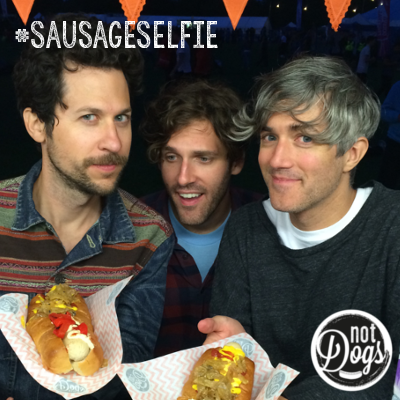 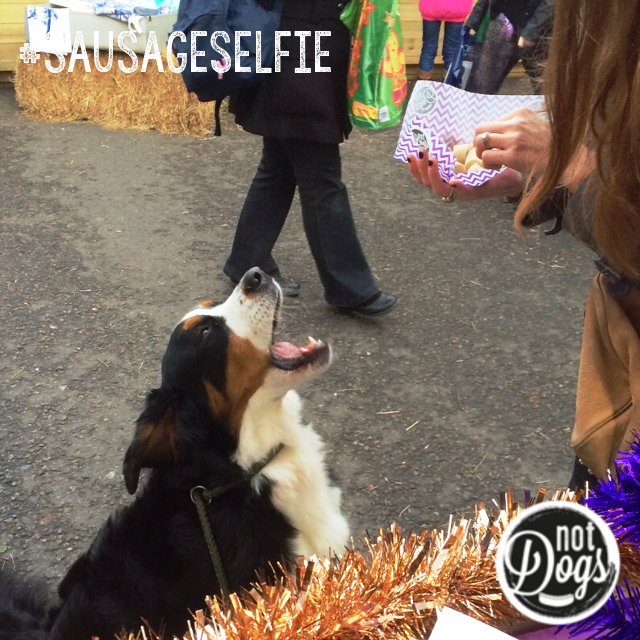 Our Sausage Selfie collection started at our very first event and has continued every since. 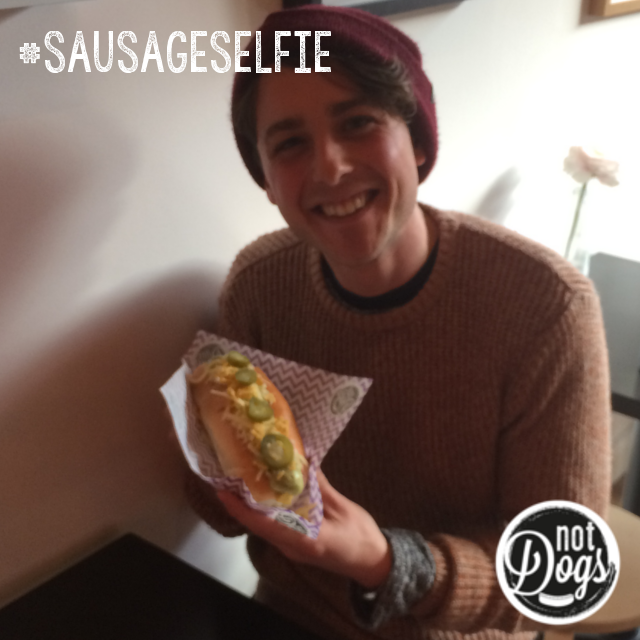 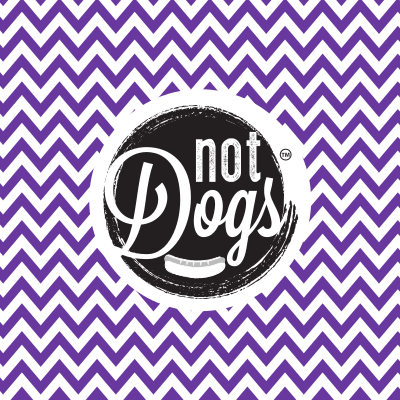 We created it so we could capture people enjoying their first Not Dogs and now we even love snapping our regulars with their favourite Not Dog! 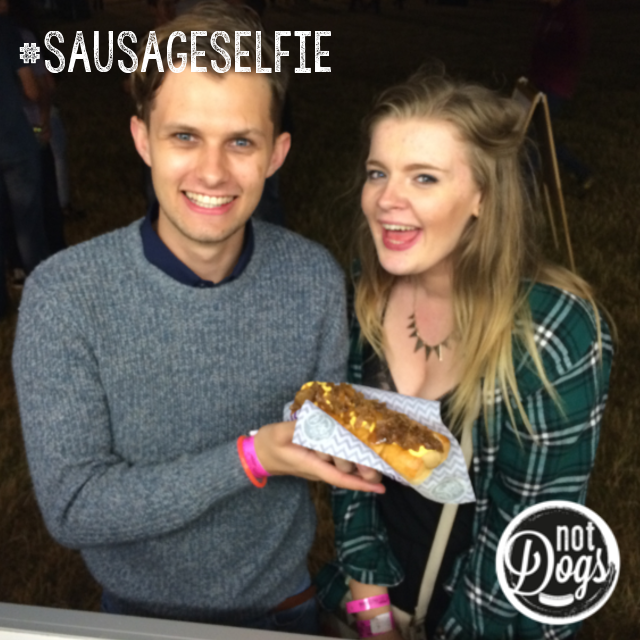 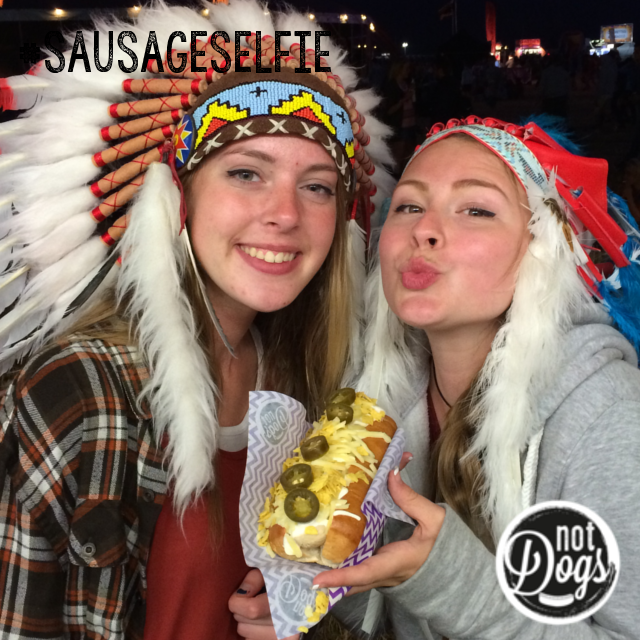 We've collected a great mix of Sausage Selfies along the way, just search #SausageSelfie on Twitter and Instagram to see them, and we can't wait to get back to the festivals where we'll capture even more!